The play consist of 30 scenes which capture fragments of a single character’s life, starting at her birth, and ending at her death more than 80 year later. In between we see her grow up, make friends, get jobs, form relationships, win awards, buy clothes, make mistakes, have a child, discover herself, and enjoy a good laugh. She is simultaneously an extraordinary and entirely ordinary person. As she journeys through her life, the central character is always surrounded by a group of voices who shape her and her narrative. Sometimes they are family, at others times they are teachers, co-workers, friends, medical professionals, estate agents, even voices in magazines and books. Sometimes these voices dictate her direction of travel, at other times she listens less and charts her own path. The play is written to be performed by an ensemble cast. While the central character, YOU is represented in every scene and there are some recurring characters, these may or may not be played by the same actors throughout. Much of the play’s energy is channeled via the shapeshifting body of voices that surround YOU, as they morph between various characters, sometimes behaving as a chorus and sometimes splintering off into an eclectic range of cameo roles. 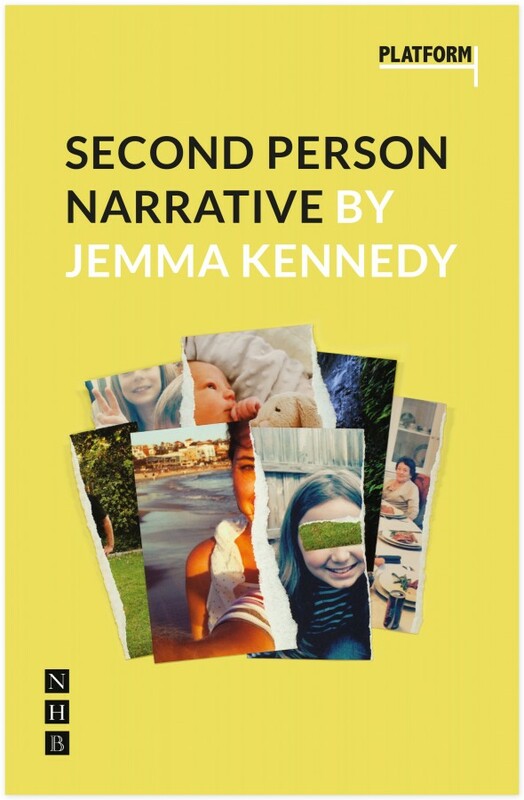 With a flexibly constructed script in which lines of dialogue could be distributed between an ensemble of actors in any number of different ways, Second Person Narrative provides enterprising casts and directors huge scope to craft their very own rendering of the play. Each scene takes place in a different location including a hospital, restaurant, school, clothes shop, living room, exercise class, and awards ceremony. However, the play moves speedily through these locations and they need not be created in a naturalistic way. Instead, staging choices, props, sound design, and music could be used to indicate setting. While the play depicts more than 80 years in one character’s life, in every scene it is always the present day. Second Person Narrative is an ensemble piece for multiple voices. It should be performed by a cast of no fewer than seven actors. There is no upper limit on the cast size. The play was originally written for an all-female cast, but could just as successfully be performed by a mixed gender cast.